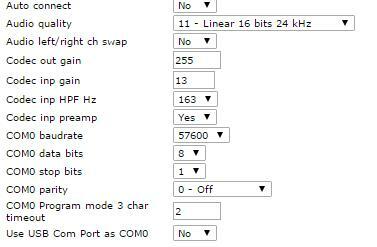 I'm running the latest RRC firmware (2.87) and I've encounter a strange issue running N1MM+ with RemoteRig. Here's what happened, with my comments. - N1MM+ starts sending TEST YO3IRM to Winkey (RemoteRig). Good. - Winkey acknowledges that it has started sending. Good. - Winkey starts echoing back characters as they are sent. Good. - Final characters sent to Winkey. Good. - Winkey reports that it has stopped sending. Bad. It has not finished echoing characters back to N1MM+. It should not report that it has stopped sending until after all characters have been sent, and the echo characters have been sent back to N1MM+. Receiving this prematurely also starts the CQ repeat timer prematurely, leading to the next CQ starting too soon. I see this pattern throughout the log file. It needs to be fixed by RemoteRig. Could be something on my RRC configuration ? We will not be able to look into this until sometimes after the holidays. Meanwhile it would be great if some other Winkey/N1MM+ user could share their experiences about how it works. 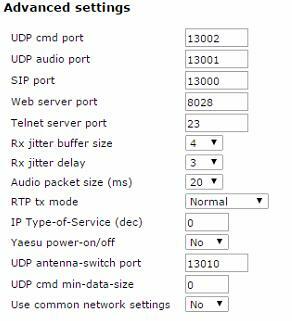 Can someone share please his working configuration for: TS-480 & RemoteRig & N1MM+ ? Thank you for any suggestion ! 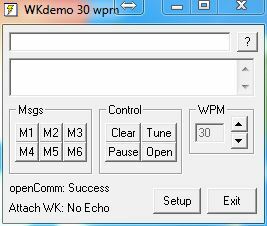 Is there someone with TS-480 using N1MM+ as a contest software? Can you share please your setup config ? I've tried different settings combination but I have the same result, in RUN mode, N1MM+ does not sent the entire message, it stops/restart randomly. 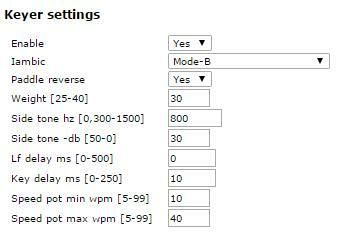 My setup is working ok with win-test or winwarbler from DXLab. 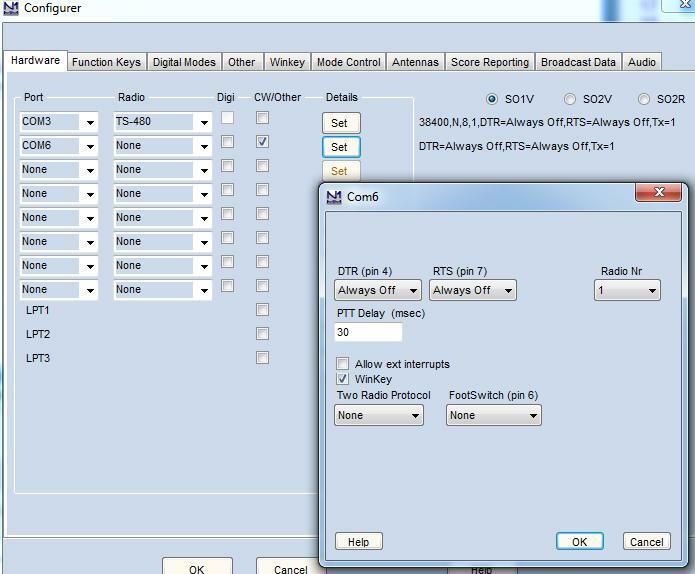 I've checked also with http://k1el.tripod.com/WKdemo.html as suggested by KD0PO and I see no issues so it should be something with N1MM+ / RemoteRig / TS-480 combination. It seems it is not only a N1MM+ problem. I've recently installed win-test, the latest version and it doesn't work at all. 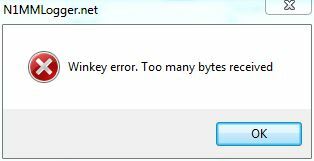 The error message is: "Winkey Device Init Error"
If I try to send CW it will send only the first character then will stop, at this point you cannot send anything else. If I hit "Esc" it allows to send again only the first character and then it stops. Strange is that I've used the Win-Test 4.16 Demo version and it works ok but after that I've installed the registered version, 4.19 and it has the described behavior. I've tried to uninstall the new version and install the old demo version but from this point on I received the same erorr message "Winkey Device Init Error" and the same behavior, even after an OS point in time restore. N1MM+ works ok in S&P mode but it stops sending randomly in RUN mode. I ran out of ideas so any help will be appreciated. 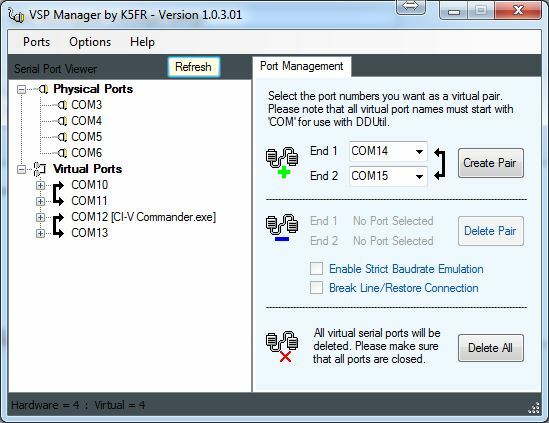 What other programs do you have on your computer to create/manage virtual com ports? 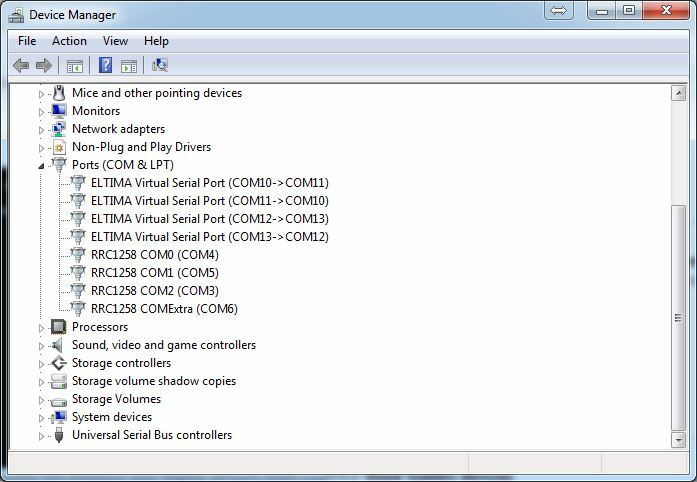 Is there are Microham virtual com ports, or VSP virtual Comports, or any other program that manages virtual comports? These programs sometimes conflict with each other, and you get funny things happening. One of the common things I see happen when there is a virtual comport conflict is that information is conveyed one way (to the Winkey from the computer) but information is not conveyed the other way (from the Winkey to the Computer). The solution is to start deleting programs that may conflict. It is somewhat a trial and error method. I don't know that this is your problem, but if there are virtual com port programs that you no longer use, try deleting them and then retry the app. You also don't have to have any virtual com ports identified on your computer from the program; if it loads when you start your computer, then it may cause problems. Thanks Dennis, I'm using only VSP Manager but not in the same time with contest software running. 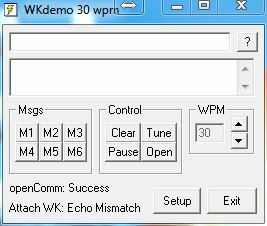 N1MM+ or Win-Test are connecting directly to the com port provided by remoterig for CAT and to WinKey port also provided by RemoteRig. I don't have microHam or other virtual ports installed. Strange is that in the same conditions, DXLab-Winwarbler is working without any issues, also tried DXLog as a contest software and is working in RUN mode and S&P mode without any issues. I will try to remove VSP Manager and check again. 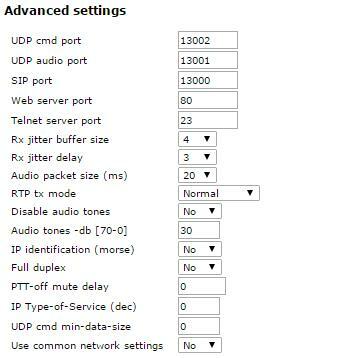 that might help finding out if there are problems with installed Com ports. It seems there are no overlapping Com ports even though the Eltima ports are not marked 'in use' in the Com port data base. You could follow the instructions how to make them marked in use, but I do not think it will solve your current problems, only future ones as it helps avoiding creating overlapping ports. MB HIDClass RRC 1258 HID\VID_1E3B&PID_1258&MI_00\8&2DDCA83A&0&0000 UNINSTALLED!!! MB HIDClass RRC 1258 USB\VID_1E3B&PID_1258&MI_00\7&20D2F81F&0&0000 UNINSTALLED!!! MB Ports RRC1258 COM2 (COM3) USB\VID_1E3B&PID_1258&MI_01\7&20D2F81F&0&0001 UNINSTALLED!!! MB Ports RRC1258 COM0 (COM4) USB\VID_1E3B&PID_1258&MI_03\7&20D2F81F&0&0003 UNINSTALLED!!! MB Ports RRC1258 COM1 (COM5) USB\VID_1E3B&PID_1258&MI_05\7&20D2F81F&0&0005 UNINSTALLED!!! MB Ports RRC1258 COMExtra (COM6) USB\VID_1E3B&PID_1258&MI_07\7&20D2F81F&0&0007 UNINSTALLED!!! If I press ESC then again if I hit F1 or other key, just one char is sent. Sometimes, not always, starting DXLog after Win-test I have the same strange behavior also for DXLog. !!! 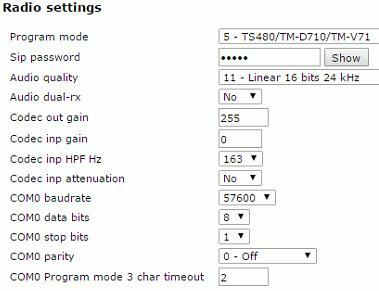 - RRC Console restarted from web interface - DXLog start working correctly. Used MicrobitDeviceManager to uninstall all microbit devices and reinstalled all as a normal user, not admin. Is there any way to enable a log for RemoteRig where I can search for errors ? You are truly amazing at digging deep in order to find out what is going on with N1MM+(it's + I assume?) and the RRC! Thank you! Just before I left work today I had a similar system like yours up and running, and guess what, it seemed to work! There were some initial issues when N1MM+ did not send anything it at all, but I suspect it was a case of me not knowing enough about how N1MM+ works... There is at least one difference to your set-up, I used 19200 baud to communicate with the radio. Tomorrow I will make sure it's still working ok and if your system still does not work we will have to figure out what else to do. One thing would be for you to connect an RS232 cable to the control RRC's COM1 and use a serial terminal program set at 38400,8,N,1 with the right kind of debug printouts enabled, like menu "d" followed by "3" + "w".